The Holocaust as a topic of study is present to varying degrees in a substantial number of countries, notably European, as well as countries where victims of the Holocaust have sought refuge and others not directly affected. A recent study by UNESCO and the Georg Eckert Institute for International Textbook Research found that at least 65 countries specifically mention the genocide of Jews and other crimes perpetrated by Nazi Germany and its collaborators, in their secondary schools’ social sciences and history curricula. An additional 46 countries provide context (the Second World War and National Socialism) in which the Holocaust can be taught. Teaching about the Holocaust is encouraged by the United Nations, which emphasizes its historical significance and the importance of teaching this event as a fundamental consideration pertaining to the prevention of genocide. Inspired by the Conference for International Holocaust Education organized by the United States Holocaust Memorial Museum (USHMM) in collaboration with the UNESCO in Washington, D.C., a distinguished journal ‘Contemporary Review of the Middle East’ by SAGE Publications has come out with a special issue on Holocaust Education. The issue aims to strengthen the history of Holocaust and the genocide through pedagogical means. It has contributions from most of the attendees of this conference. With contributions from eclectic mix of scholars, the issue emphasizes on the fact that Holocaust is not an exclusive Jewish, European, or Christian tragedy but a human calamity. This universal message cannot be understood by ‘uniquefing’ the Holocaust. Despite its unparalleled character and magnitude, its understanding cannot be done in isolation. Supporting the effort to inculcate future generations with the lessons of the Holocaust and to prevent future genocides, UNESCO has created an educational programme dedicated to the history of Holocaust. To support this effort, it has recently laid down a policy guide for policy-makers who seek to implement or substantiate the study of the Holocaust within their education systems and, more broadly, the study of genocide and mass atrocities. It describes how and why teaching and learning about the Holocaust can support global policy priorities through education, including cultivating global citizenship, promoting human rights, and developing a culture of peace and prevention of genocide. Articles from the issue on Holocaust education from the journal ‘Contemporary review of the Middle East’ have been taken as one of the references for drafting this document. The articles focus essentially on education about the Holocaust and the decades of research, resources and pedagogical practices demonstrating its effectiveness. Thorough guidance is provided for setting clear, realistic and context-specific learning objectives that promote quality education on the occurrences and history of Holocaust. The special issue is currently free to read for a limited time. The idea for this study came during a preliminary investigation of managers’ thinking patterns when they are making campaign contributions. It appeared that regulatory and social implications of disclosure were one of their major concerns. This led me to think if legal enforcement regarding mandatory disclosure of political contributions can make firms fully transparent. 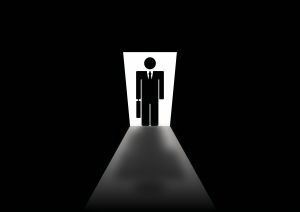 Further exploration made it clearer that neither executives nor legislators wanted transparency. They were willing to do whatever was possible to discourage such a regulation, and when that would fail, they were likely to reframe campaign contributions as non-political giving such as charity. In sum, I was expecting that legal enforcement of corporate campaign disclosure may have limited effect. When I found the context of India and compared the ratio of disclosures due to purely legal enforcement and then subsequently when the legal enforcement was coupled with a regulatory incentive, I was surprised by the difference. There was a dramatic increase in the proportion of disclosures suggesting that most firms were unwilling to declare their political ties in the absence of an economic benefit. I hope my findings can encourage a more informed discussion on the regulatory aspects of corporate campaign contributions. 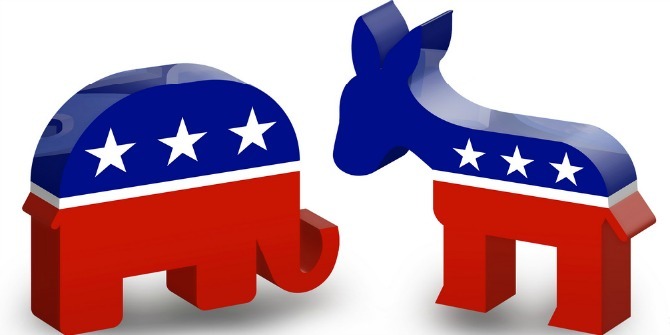 With so much at stake for corporations, legislators and the society, it may be worth discussing the mechanisms that can make it easier for firms to disclose their political choices. Although economic incentives may not reveal all political contributions, the findings of my study suggest that they can be an important step towards transparency. Follow Business & Society on Twitter! Follow Administrative Science Quarterly on Twitter! The Colbert Report combines comedic entertainment and current events, two pedagogical sources that have the potential to increase student interest in classes and improve student learning. This article offers suggestions on the use of segments from The Colbert Report to teach introductory macroeconomics. Segments are included that relate to comparative advantage, supply and demand, externalities, GDP, unemployment, classical versus Keynesian theory and the Great Depression, fiscal policy and economic stimulus packages, monetary policy and the Federal Reserve, money, taxes, and foreign aid. Guidance is provided regarding the use of the clips in an introductory macroeconomics class. You can read “Laissez-Colbert: Teaching Introductory Macroeconomics with The Colbert Report” from The American Economist free for the next two weeks by clicking here. Want to stay current on all of the latest research published by The American Economist? Click here to sign up for e-alerts! After my PhD, a colleague from Oxford went on to become a lawyer for Julian Assange. One day she posted a comment that said ““Defending an ‘enemy of state’…How a publishing organization, revealing human rights abuse, can be in same legal classification as Al Qaeda and the Taliban is just beyond me.” At the time I was starting on a new project that considered labels and categories, finding much organizational literature on labeling and categorizing focused within a market setting and the implications for firm valuations and evaluations. Yet, here was a case where the labeling of an organization was having profound impacts on people’s lives, none more than the founder of Wikileaks, Julian Assange. I spoke with my co-author, Professor Stewart Clegg, and after some research we found that organizational and management studies was one of the few disciplines that had not analyzed Wikileaks. In addition to its labeling, it’s a contentious organizational form (virtual, fluid, imprinted by its hacker founding) – we found this surprising and disappointing, yet it also afforded us an opportunity to investigate. Serendipitously, we were writing this paper around the time of The News of the World scandal, which we observed in contrast to the media coverage that Wikileaks was receiving. We noted this in one version of the paper, and under the suggestion of our managing editor, we expanded the case comparison. An interesting conjuncture was created: on the one hand, Wikileaks exposes what it labels as the covert and hence illegitimate actions of government; in response, government labels such exposure as itself illegitimate; it is reported and commented on as such in media that are subsequently exposed as having been themselves involved in very similar practices of unauthorized access. This reinforced our political conception of labeling, and how Clegg’s classic “circuits of power” could be a useful analytical tool. Coupled with a return to Becker’s (1963) work on labeling and deviance, we argue how the politics of labeling reveal, reinforce and/or undermine existing power structures. Stampinky’s (2013) work on ‘how experts invented terrorism’ showed us a parallel case in the politicization, morality and rationality in the creation and use of the label “terrorist”, by various actors striving to claim credibility and establish positions of expertise (Stampinksy, 2013). Theoretically, we feel this paper makes a modest contribution to refocusing labeling, category and classification work in organizational studies on how they are connected to and are used to build, reinforce, and reflect broader systems of value, meaning and power (Douglas, 1986). Further work is needed into the changing conditions of institutional work in the media associated with changes in the institutional logics of news dissemination and, more importantly, the security of those involved in increasing transparency in a context where powerful interests would prefer less. NB: We thank managing editor, Professor Saku Mantere for maintaining the rage with us throughout this production process. Becker, H. (1963) Outsiders. New York: Free Press. Clegg, S. R. (1989) Frameworks of Power. London: Sage. Douglas, M. (1986). How institutions think. USA: Syracuse University Press. Stampnitzky, L. (2013). Disciplining Terror: How Experts Invented “Terrorism”. UK: Cambridge University Press. You can read “Wikileaks and The News of the World: The Political Circuitry of Labeling” from Journal of Management Inquiry for free through the end of June by clicking here. Want to know about all the latest research like this? Click here to sign up for e-alerts from Journal of Management Inquiry. 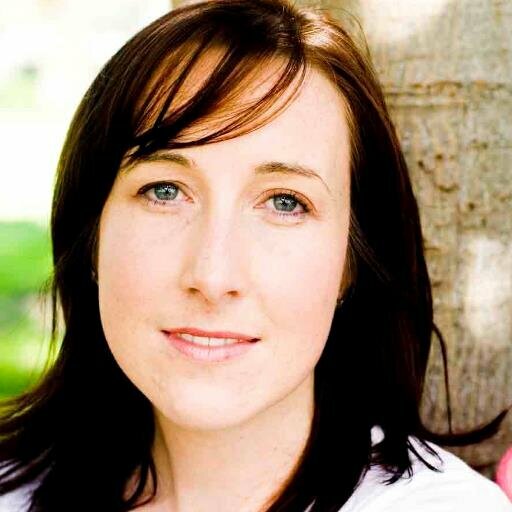 Danielle M. Logue is senior lecturer in strategy, innovation, and organization at UTS Business School, University of Technology, Sydney. She obtained her PhD in management from Saïd Business School, University of Oxford, UK. Stewart R. Clegg is professor at the University of Technology, Sydney; director of the Centre for Management and Organization Studies Research; and a visiting professor at EM-Lyon and Nova School of Business and Economics, Lisboa. These powerful testimonies of employees’ accounts of their working lives form a series of vivid, ‘behind the scenes’, portraits of the contemporary world of work. Each story is told frankly and all brim with a rich mixture of hope, despair, enjoyment and anger, revealing the hidden, often harsh, realities of work in the 21st century. These popular and compelling stories are being increasingly used for university teaching but can now be taken-up by schools, colleges and others keen to get ‘under the skin’ of today’s world of work and employment. In doing so, we hope to introduce individuals and groups outside of the academy, especially young people, to the richness of what C. Wright Mills called the “sociological imagination”. The OTFL collection includes accounts of the indignities of working as a cleaner in a luxury hotel; an activist’s story during a protracted factory strike; the dangerous health consequences for a slimming club consultant striving to ‘look the part’; the unremitting time demands on a supermarket manager; the endemic abuse and violence suffered by a trainee haute cuisine chef in Michelin starred kitchens; and the personal struggles of a pioneer woman priest. 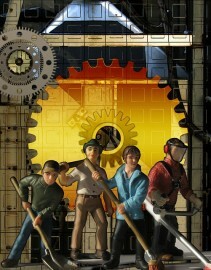 OTFL also offers first-hand accounts of major political-industrial events, such as working inside HBOS bank during the 2008 financial crisis; a pit supervisor’s experience of Britain’s miners’ strike of 1984-85; organising inside the factory occupation movement as part of the Argentinian anti-IMF uprising of 2001-02; and the disturbing account of work under hazardous conditions in a Scottish plastics factory shortly before a devastating explosion that killed nine workers in 2004. Unlike standard research articles, OTFL contributions are co-authored by the worker and an academic/s. Each one is preceded by a brief scene-setting commentary written by the academic. If you would like to write an OTFL article, the Work, employment and society website has guidance. You can also contact us to discuss your ideas further. Making OTFL free access is part of Work, employment and society’s wider commitment to public sociology. We want to encourage more scholars to work with workers and employees, especially the less powerful, to help give voice to their hidden experiences and unheard views. We also want to make our small contribution to ensuring that workers’ experiences, views and ideas will not be consigned to the “enormous condescension of posterity”, as E.P. Thompson famously claimed was the fate of earlier generations of workers. 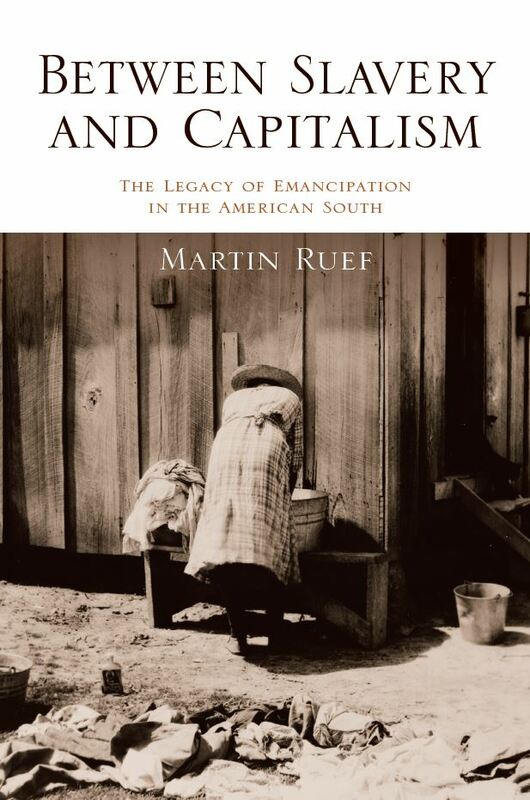 Martin Ruef: Between Slavery and Capitalism: The Legacy of Emancipation in the American South. Princeton, NJ: Princeton University Press, 2014. 285 pp. $35.00/£24.95, cloth. Heather A. Haveman of the University of California, Berkeley recently took the time to write a review of Martin Ruef’s book, available now in the OnlineFirst section of Administrative Science Quarterly. This compelling analysis of the swiftly changing economic and social institutions in the American south after the Civil War should be of interest to economic and organizational sociologists, stratification researchers, and labor and economic historians. Ruef’s central argument is that the emancipation of slaves generated great uncertainty for all economic actors in the south—the former slaves themselves, the planters who used to own them, the agents of the Freedmen’s Bureau who sought to smooth the transition, and white workers, merchants, and politicians who had supported slavery as a central precept of southern society. As in neoclassical economic theory, these actors were often subject to classical uncertainty (Knight, 1921), in that they could not predict the outcomes of their decisions to engage (or not) in economic transactions: although the set of possible outcomes was known, their probability distribution was unknown. But more than that, Ruef shows that these actors faced true or categorical uncertainty (Knight, 1921): the set of possible outcomes was also unknown, which made the probability distribution of outcomes not just unknown, but unknowable. You can read the rest of the review from Administrative Science Quarterly for free by clicking here. Want to know about all the latest research and reviews from Administrative Science Quarterly? Click here to sign up for e-alerts!